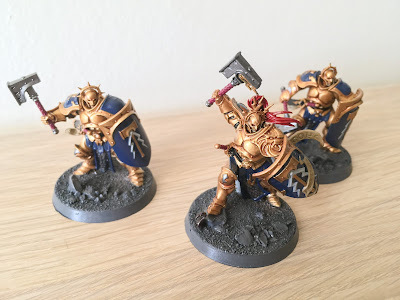 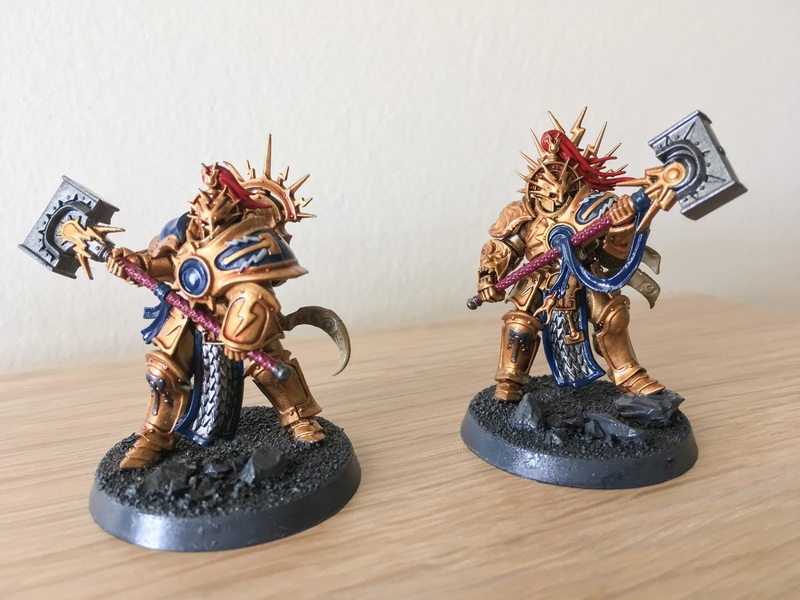 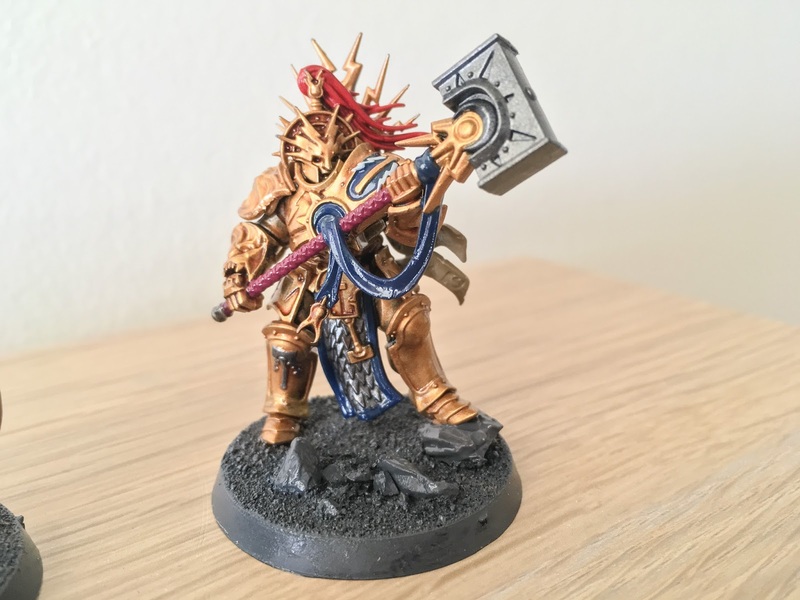 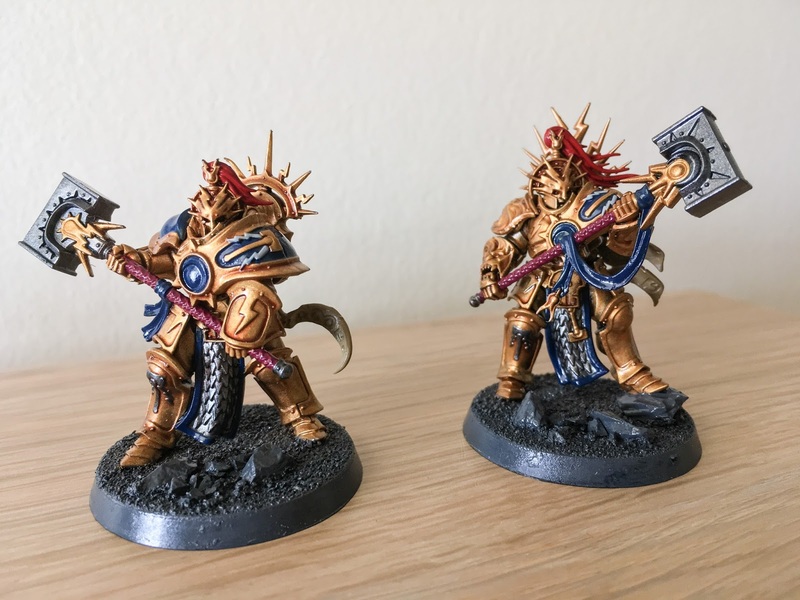 Whilst working away each week I have been working on these 5 Stormcast Eternal models. They are from the Hammer of Sigmar starter set and having such a small set of models is ideal for when I'm travelling. 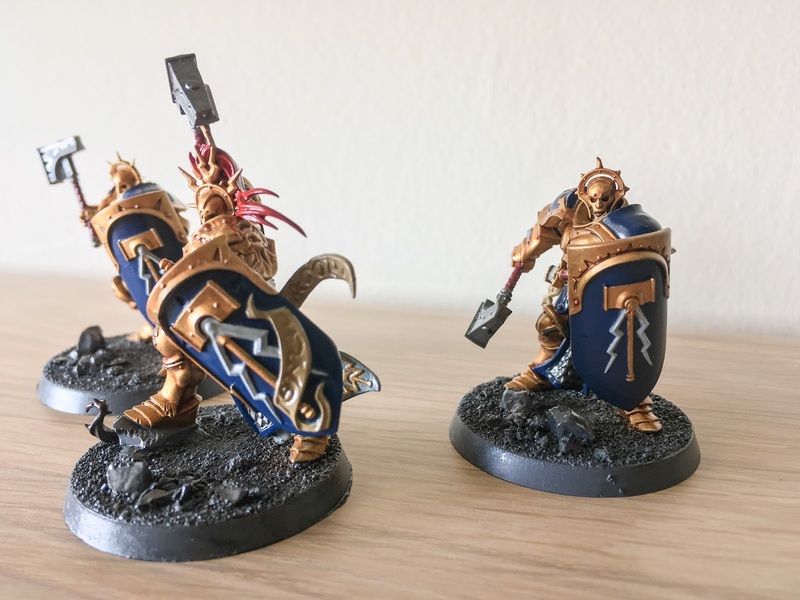 I can easily transport the models and paints in my hand lugage and can achieve the targets I set myself each week. My plan is to move on to the Chaos models which also came in the set once these are completed. 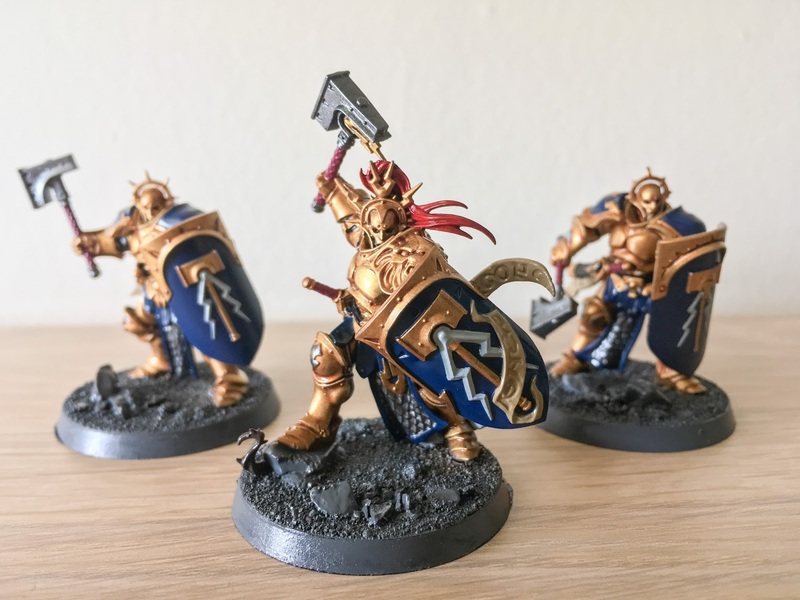 These stunning models have been base coated with the traditional Stormcast Eternal colours: Retributor Gold, Kantor Blue, Screamer Pink, Mephiston Red and Gunmetal Silver (Vallejo) with a coat of gloss varnish on top. 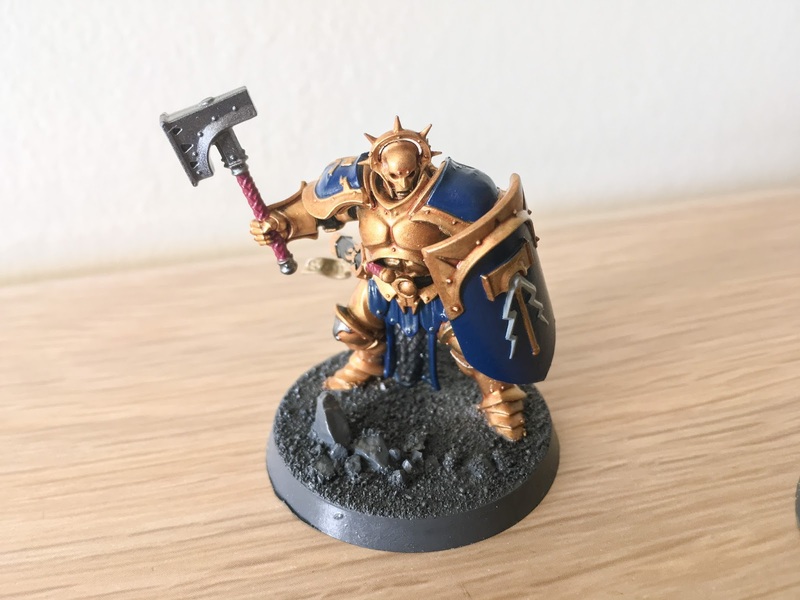 I have shaded and highlighted the armour prior to painting the other base colours however due to some poor coverage of the gold paint and some errors which I have to touch up, I will probably reapply some shading and highlighting when I move to perform those steps on the other colours. I have made a small error with these thus far.. 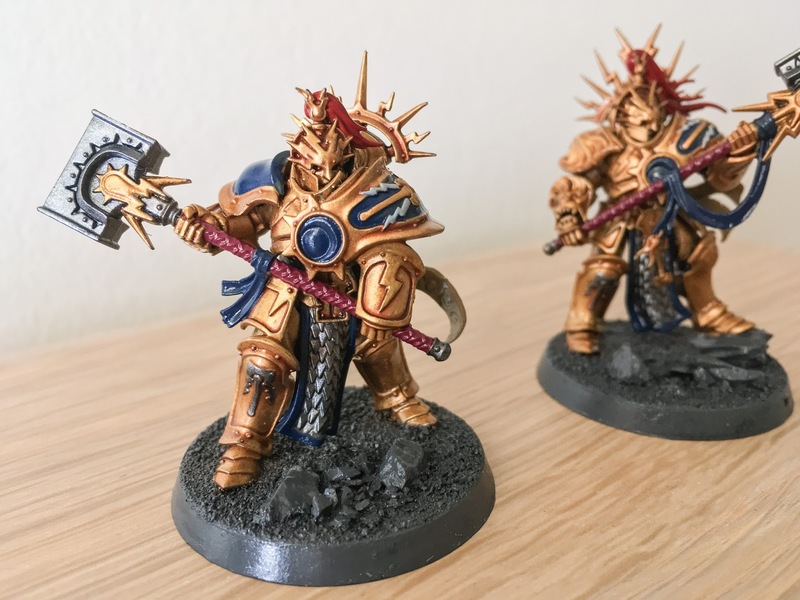 I should have applied the decals prior to applying the gloss varnish so, to rectify this, my next task will be to apply the decals before applying a further light coat of gloss varnish.